NaNoWriMo: National Novel Writing Month (1-30 November) International. untitled Literary Festival (16-20 November) Stonnington, Vic. Girls Write Up (24 November) Brisbane, Qld. 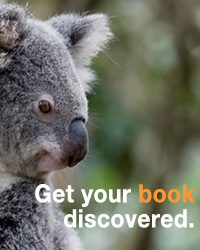 Wollongong Writers Festival (24-26 November) Wollongong, NSW. Clare Readers and Writers Festival (25-26 November) Clare, SA. Crime and Justice Festival, Melbourne, Vic. Backyard Book Fair (2 December) Perth, WA. Gulgong Folk Festival (28-31 December) Gulgong, NSW. Golden Damper Awards for Performance Bush Poetry (23-27 January) Tamworth, NSW.